Traveling and Human Trafficking. Are we responsible? We meet people when we travel. Most of them make a special place in our hearts. 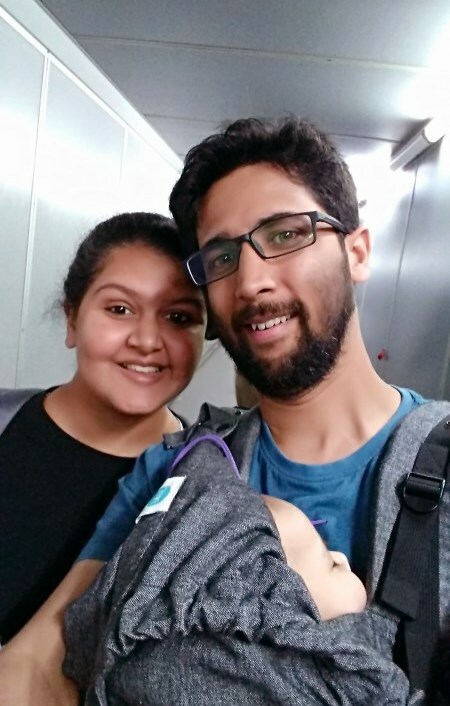 Many of them have a prominent place in out travel stories. Can you imagine being told one of them has vanished. It is hard when you hear about death of an acquaintance. 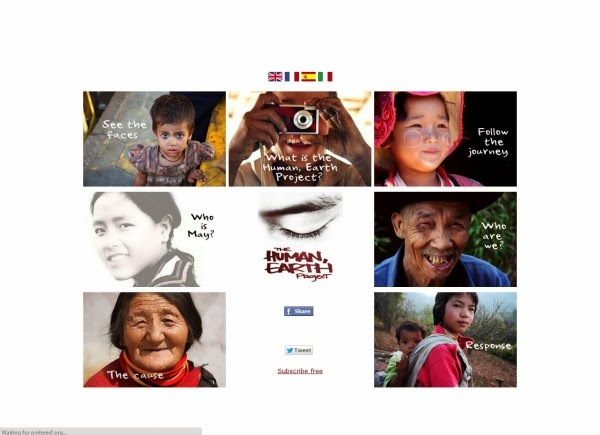 Being told that they have been kidnapped and trafficked across borders can change the way you look at world. The world can change from backpackers paradise to a dark place really quick. It always gets real when lightening strikes close to home. What do you do as a traveler in such a situation. Is not visiting these places the solution. Would we not be pushing the locals back into poverty and unscrupulous activities to support basic needs. Again is it OK to travel as if nothing happened or will ever happens. Even if you have never been a part of the prostitution network of an area we tourists have a lot to contribute to it. As a female it repulses me to hear that women are pushed into the trade just to earn money and many times they earn nothing. Many other become scam artists. As travelers we run away from these people. No body wants trouble and definitely nobody is looking for the story behind their lives. I am sure we all would agree that human trafficking is wrong. It is the worst crime you can commit against a person. Reducing him or her to an object which you move across borders and pass among yourself. Yesterday while on Facebook I came across this post from John. 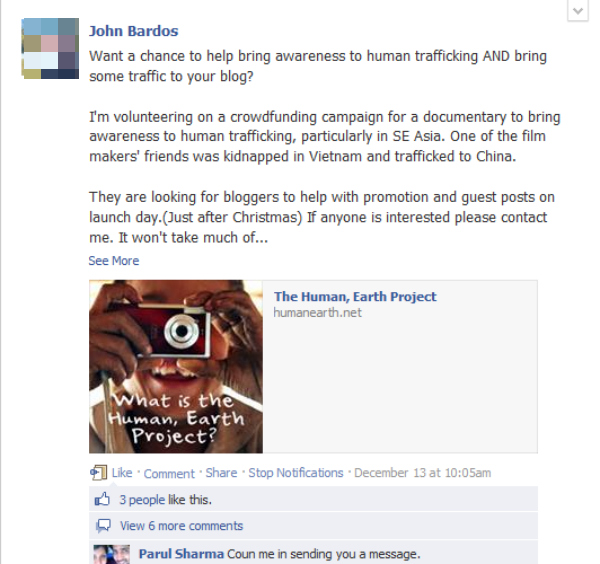 He was looking for bloggers to help share their story and the purpose behind the Human Earth project. Reading about May and her sister makes me worry about my sisters. As I said the world starts becoming a dark place. Real Quick. Ben knew May and has decided to something against an act as heinous as possible. We all have our way of protesting, as a filmmaker, photographer and writer Ben and Moreno are making a documentary to raise awareness about human trafficking. I feel privileged to be blogging about it.